This following article is a guest post from my good friend and fellow Global Team of 200 member, Nicole Melancon of ThirdEyeMom. On Monday night, I returned home after attending my third Social Good Summit in New York City, this year as a United Nations Foundation Social Good Fellow. The Social Good Summit is a unique convening of world leaders, new media and technology experts, grassroots activists and voices from around the world that come together for a two-day conference coinciding with the United Nations General Assembly meeting held during UN Week. 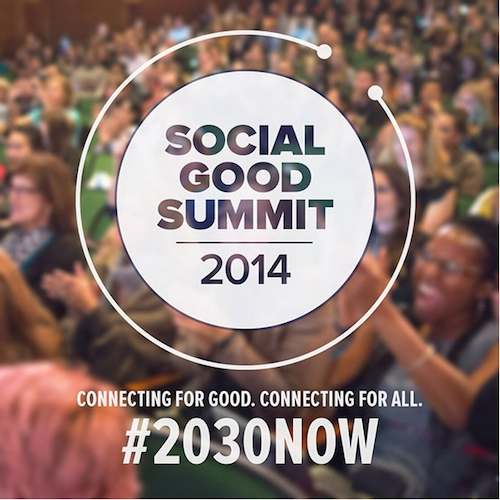 The theme of this year’s summit – #2030NOW: Connecting for Good, Connecting for All – challenged speakers, participants and a growing worldwide community to explore how technology and new media can be leveraged to benefit people everywhere, to spark discussion and ignite change in creating a better world for all by the year 2030. This year’s conversation #2030NOW centered around one critical thought: Where do we want to be in 2030 and how can we inspire and engage the millennials of the world to stand up, use their voice, and disrupt the system to demand change. #2030NOW challenged people to deeply reflect and act upon critical issues – such as climate change, women and girls empowerment, gender and racial equality, eradication of poverty, improving maternal and child health, and promoting peace – that are threatening to destroy the world we want to have by 2030. It was a powerful summit reminding us that as we are approaching the end of the MDGs (Millennium Development Goals) how are we going to continue to pressure our global leaders to be held accountable for and make positive change. How we going to ensure that the world in 2030 is the world we want to have. After two, highly intense and emotionally charged days I walk away inspired to use my voice to promote good and help change the world. For me, the key highlights were the fact that we are fortunate to live in a world where we have a voice so let’s use it. Let’s engage in the issues that mean the most to use, and use our voice to disrupt the system and ignite change. So many people around the world do not have this power and freedom to use their voice and now it is more important than ever to be heard. Where do we want to be in 2030 is up to us. So what kind of world do we want? Nicole Melancon is a Minneapolis-based freelance journalist, traveler and global volunteer who shares her passion for travel, culture and social good on Thirdeyemom. Nicole is also a world voice editor for World Moms Blog, and a regular contributor to The Elephant Journal and The Huffington Post where she focuses on global health, human rights, motherhood, poverty and the environment. She is an advocate for ONE, The United Nations Foundation Shot@Life Campaign and other non-profit organizations. Nicole traveled to India in May 2013 as a member of Mom Bloggers for Social Good where she reported on water, sanitation, newborn health and education. In June, Nicole traveled to Ethiopia as a fellow for the International Reporting Project to document newborn and maternal health. Janine Huldie recently posted..Friday On My Mind AAF Style!! 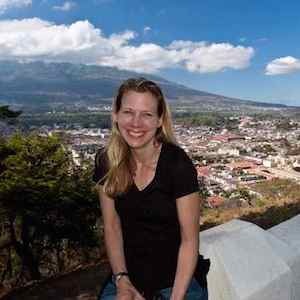 Hi Janine: It is amazing! My third year going and I will continue to go every single year. It is so inspiring and wonderful being able to be part of such a global conversation! The climate change scares me. The signs do seem to be there. I’m personally so scared for our country, especially lately, and I have to remind myself that so many want to change it and are working towards changing the whole world. Tamara recently posted..I’ve Never Met One Of My Closest Friends.